As noted in Ray Fittipaldo's blog on the PG website, Joe Lunardi for some strange reason apparently holds press conferences. Don't get me started on this guy. At any rate, he feels that Pitt will really need to tank to lose its #1 seed. 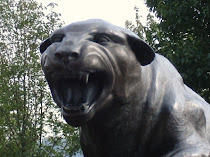 Along the same lines, the PG's daily article talks about how Pitt is where it wants to be. The team has also been extremely fortunate to avoid big injuries...especially compared to teams that lost key pieces such as UCONN and Marquette. The Q&A in the PG today gets an interesting question about the placement of the Zoo . Frankly, I never thought about it, but Ray apparently gets the question a lot. 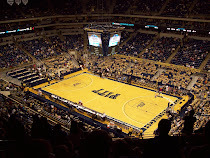 Pitt readies for the big game against Marquette. Also, an interesting note about how the team ends with two (albeit difficult) home games.